Perithecia of Pyxidiophora, photographed by M. Blackwell. 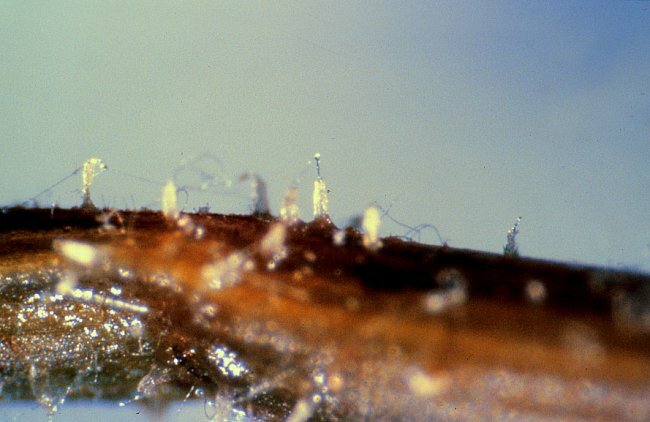 The Laboulbeniomycetes are a group of minute fungi commonly ectoparasitic on insects. They are characterised by linear thalli composed of superposed cells, resulting from enlargement and subsequent cell division of a spore (Henk et al. 2003).